Augmented Reality Glasses are changing the way we see the world. Everyone’s is interested in the augmented smart glasses nowadays. It lets you imagine that you are walking or driving. Various companies are creating their own AR smart glasses. 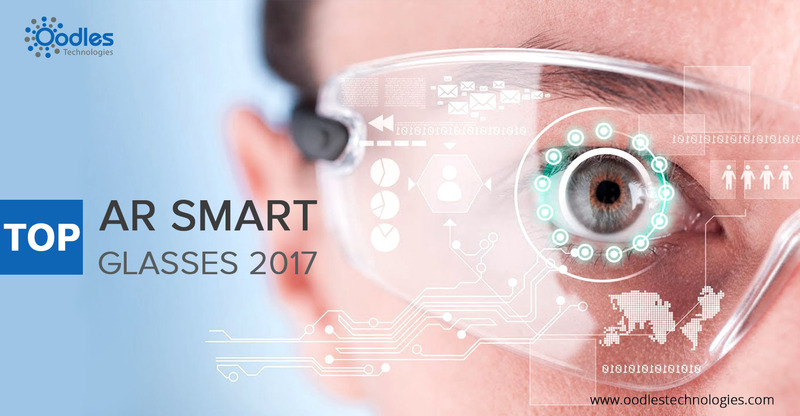 Have a look at the Top Augmented reality glasses of 2017. Vuzix smart glass is probably the most stylish and comfortable smartglass available. It helps in communicating straight from your monocular display. It is similar to Google glasses. It has onboard processing feature along with the 5-megapixel camera to capture events and display augmented reality. It has an amazing camera that records high definition videos of 1080p. It has Bluetooth version 4.0 connectivity for connecting it to third-party devices which means if you have wifi connectivity near you then you can connect to wifi through Bluetooth. The one of the major features is that its memory is expandable to 32GB. It even has the GPS tracking system which works well with apps and smartphones. Sony smart glass is an augmented reality eyewear with a wired controller. It can be attached to any glasses to do any activity by just placing it near your pupil. It has tons of features like accelerometer, gyroscope, built-in 3MP camera, light sensor and much more. It was mainly designed for runners as it will help in navigation which allows them to find new routes. The display module has the 0.23-inch screen with the resolution of 640 x 400 pixels. It has 800 nits brightness. Sony smart glasses have microphones and noise suppression sub microphones. The HTC Vive is a virtual reality headset which provides the fantastic high-quality experience to its customers. It has two screens of 1080x1200 specification. The Deluxe Audio strap makes it easy for the user to put it on or take off. It is the combination of existing desktop VR with room-scale motion. It has two trackers which monitor the position. HTC Vive is considered to be the most expensive VR headset. Want a smart glass for an everyday use? Well, Vue is the perfectly designed for that. It is smartly designed to transfer stereo sound to your ears. Vue has inbuilt microphones which helps in completing daily tasks like calling, listening music and much more. Vue glasses has convenient gesture control. It comes in three different styles such as prescription, plain non-prescription glasses, or sunglasses. You can get a vue smart glasses for $179. It is one of the augmented reality smart glass and it is much costlier than other smart glasses, It has the little head attached display which shows information like forecast, phone calls, events, GPS and much more. It even lets you take photos and videos with 5 Megapixel camera. Its battery backup is for one day. It has total 16GB flash memory. Google glass has low-resolution HD display.